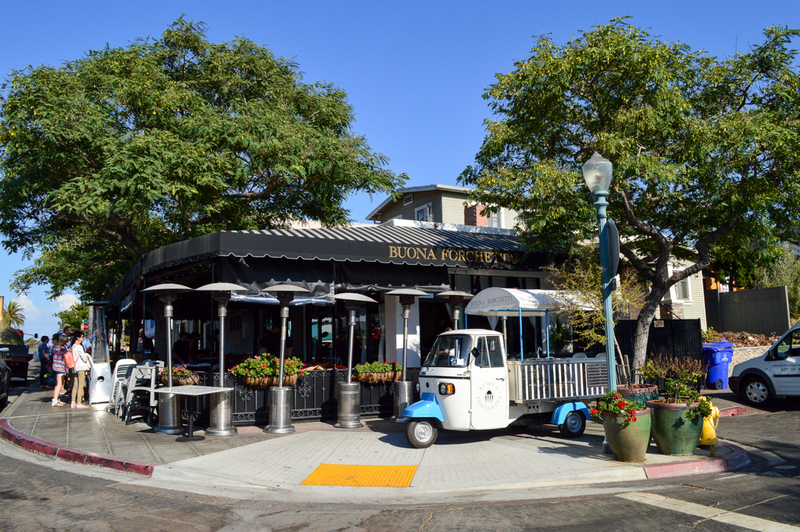 Buona Forchetta is located in one of my favorite neighborhoods in San Diego, South Park. 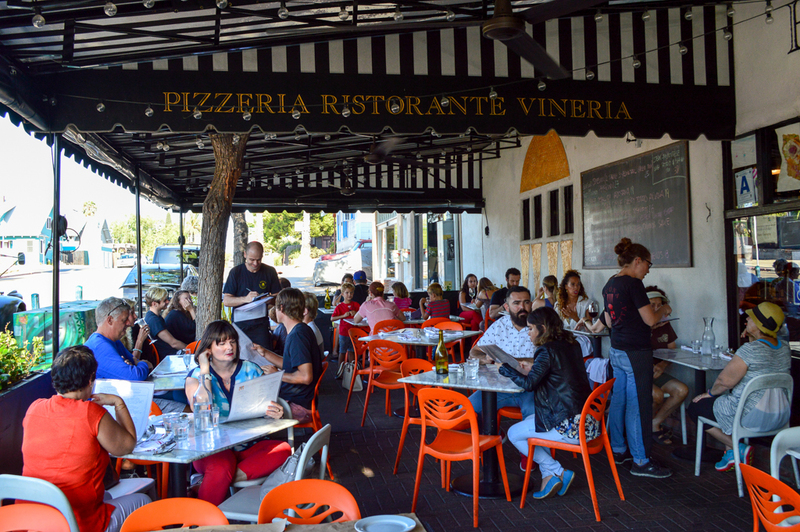 As you pull up on Beech Street, you can’t miss this authentic Italian eatery… just stick your head out the window and you will smell the wood-fired oven. Heavenly. Chef Marcello leads an Italian staff along with his Chef and Piazzaiolo duties here at Buona Forchetta. Marcello’s pizzas have won multiple world championships and I can tell you what – I can’t wait to try his creations for myself! 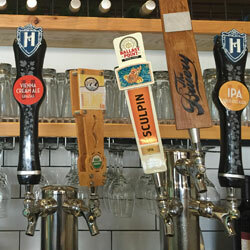 This neighborhood favorite is very community driven and philanthropic. 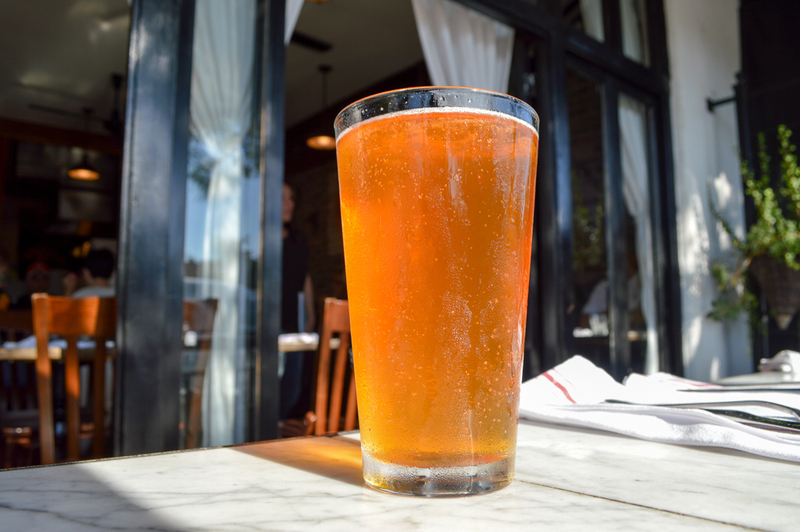 In fact, I am here for the first time as a part of a separate event – one in which the restaurant is providing a portion of all proceeds to a local non-profit organization. 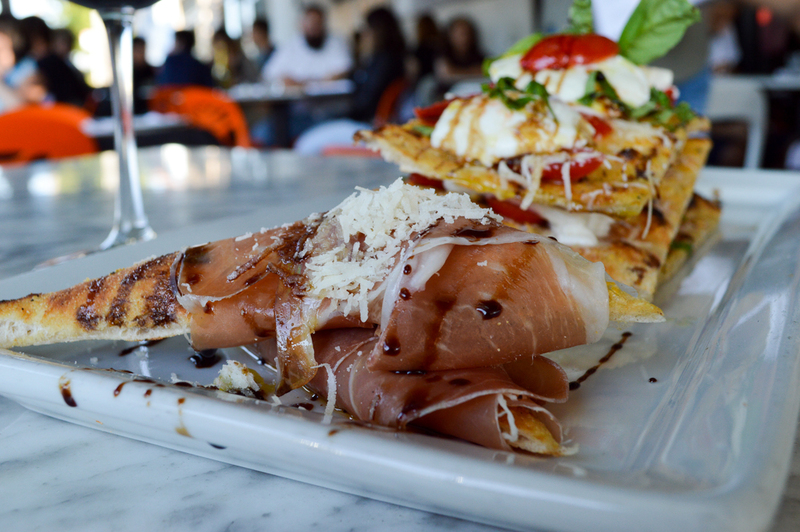 Buona Forchetta not only serves up wonderful Italian cuisine, but they also are ready to lend our city a helping hand in times of need. Such a beautiful thing, thank you! Other than the Chef, of course, the star of the show is Sofia. 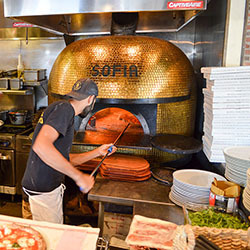 Voted as one of America’s coolest pizza ovens, Sofia is named after co-owner Matteo Cattaneo’s first daughter. 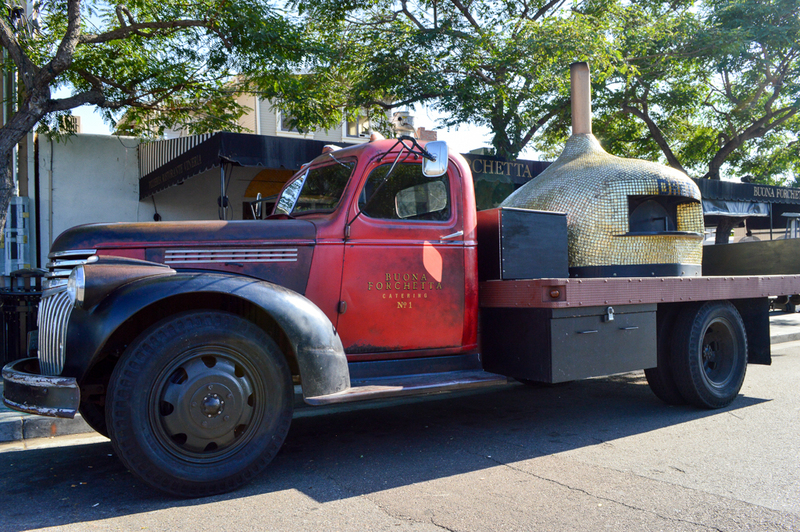 The wood-fired oven at this Neapolitan-style pizzeria was handmade in Naples by master artisan Stefano Ferrara over the course of nearly five months, then shipped to San Diego. 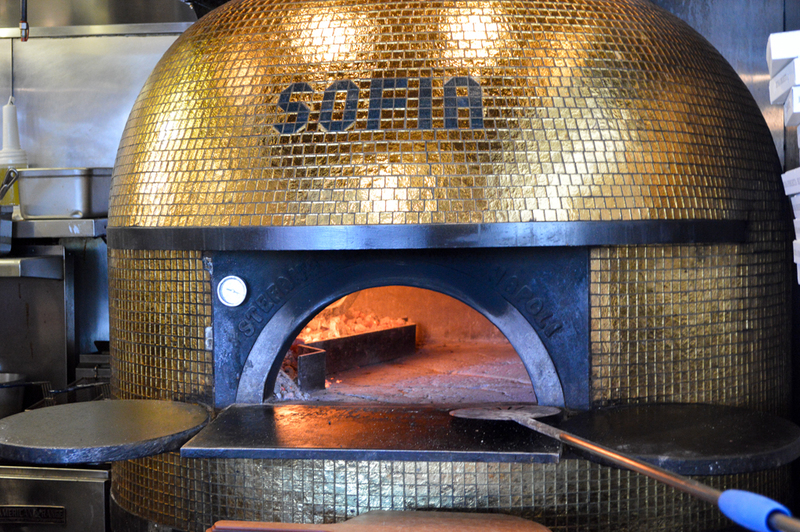 Cattaneo’s wife, Alexa Kollmeier, insisted on covering the oven with golden tiles, which add to its gorgeous warm glow. Take a look at the photography and see what I mean. I really like the vibe here on this beautiful San Diego evening. 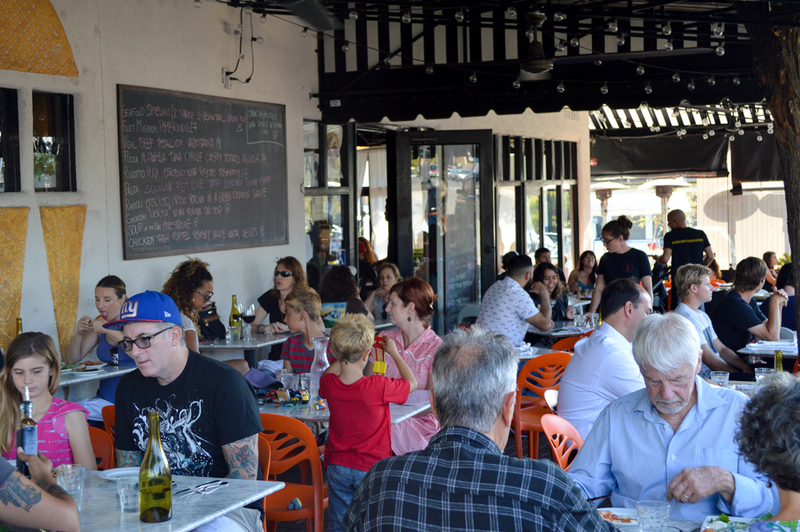 The place is packed and there are servers racing around helping everyone enjoy a great meal. I absolutely love the fact that I hear them all speaking Italian. 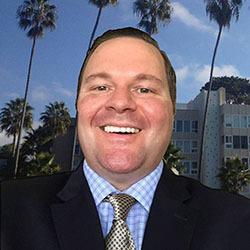 I think the whole staff might be Italian – which really adds to the authenticity of the experience. I can’t wait to get our starters. This is going to be a night I will not soon forget! 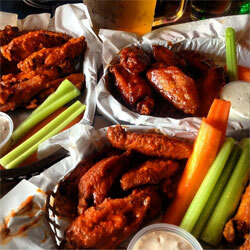 To start things off, we decided to share a few different appetizers. After reading many recommendations, it was a no-brainer. We ordered the Pizza in a Jar, Polpettine and the Sottoterra. All great choices, by the way, and I highly recommend. The Pizza in a Jar is exactly what it sounds like. 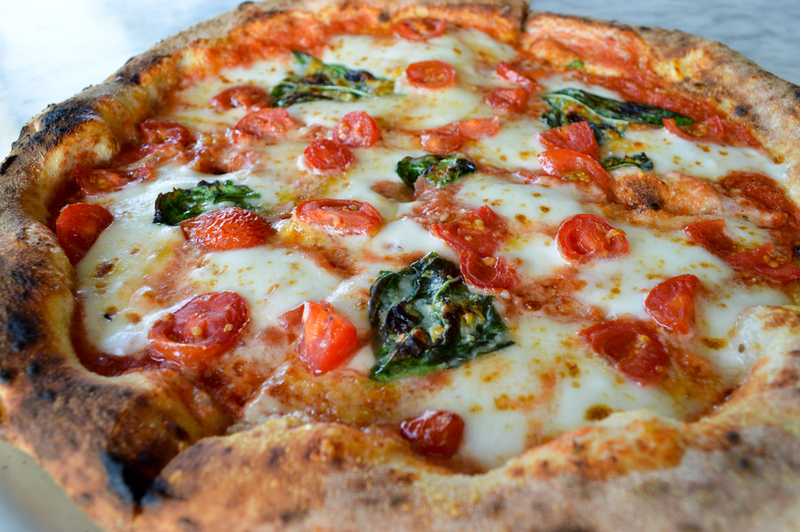 It’s made with fried dough, Burrata (grape tomatoes and spinach), San Marzano tomatoes and basil. I literally couldn’t keep my spoon out of this awesome jar of goodness. I’ve never tasted anything like it! Every flavor you savor while eating a traditional slice is strategically placed in a Mason jar. The dough balls are amazing and each bite is filled with cheese. What great way to start the evening! 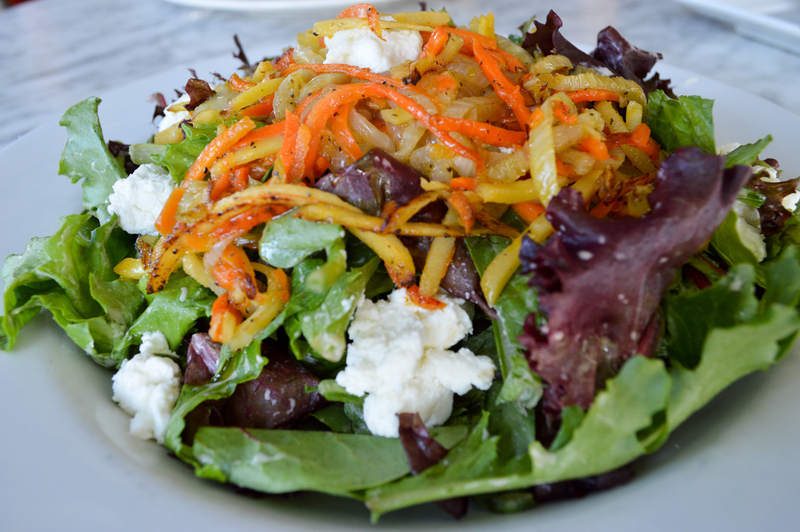 I like to enjoy a salad at every meal, so I ordered the Sottoterra – a tasty medley of carrots, fennel, parsnips, onion and goat cheese piled on a bed of fresh mixed greens. You can tell how fresh a restaurant is from its salads. 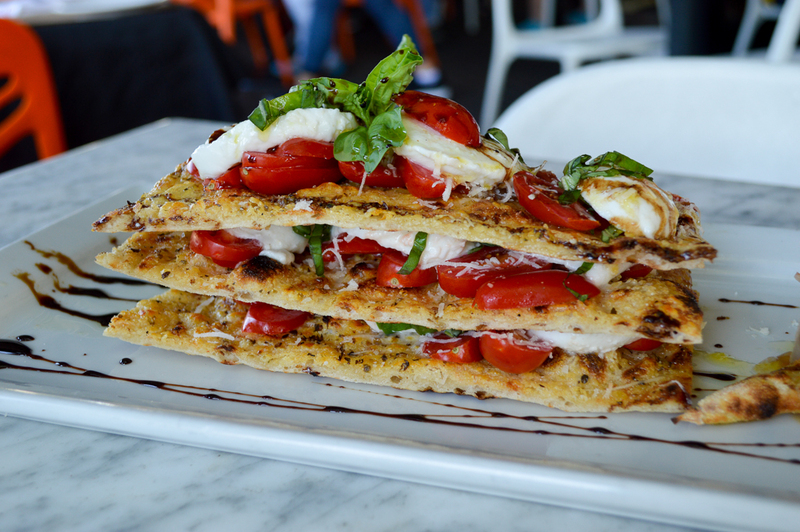 Buona Forchetta is as fresh as it gets! If you are looking for a tasty salad, then look no further. 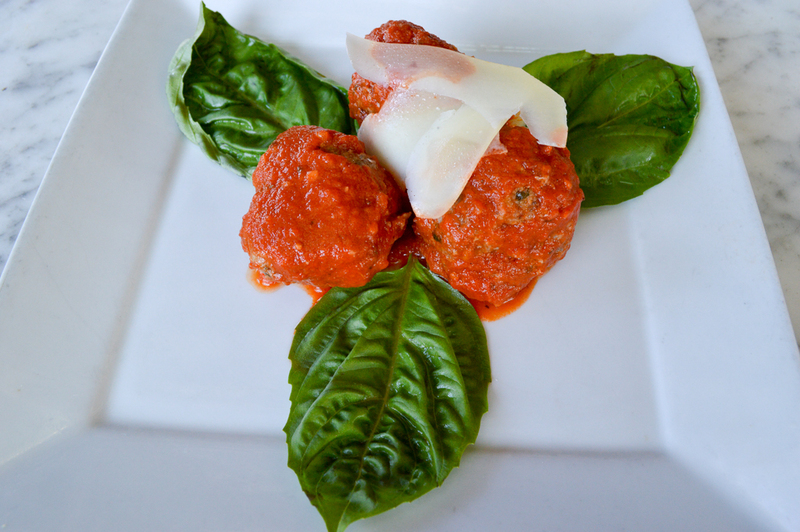 What Italian dinner is complete without house-made meatballs? The answer is none! 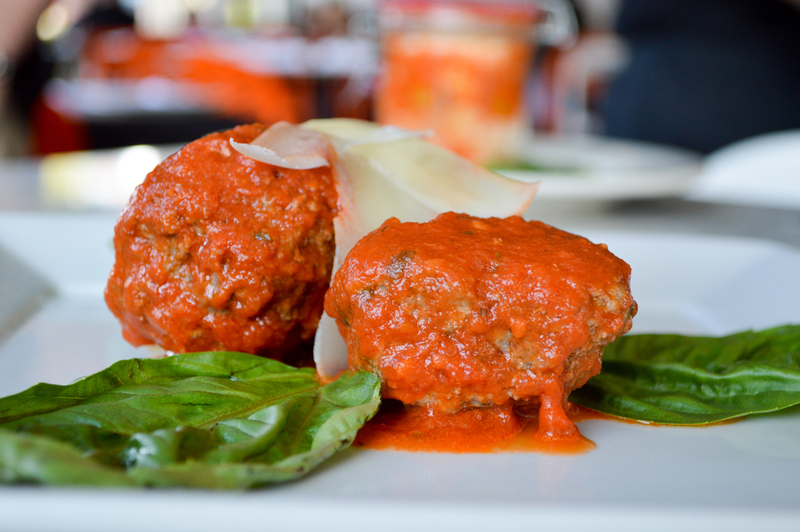 So, I had a smile from ear to ear as I watched our lovely server arrive with three huge Beef & Pork Meatballs smothered with tomato sauce along with Parmesan. Love at first bite! The beef and pork mixture has just the right consistency and robust flavor. And the tomato sauce is something else! 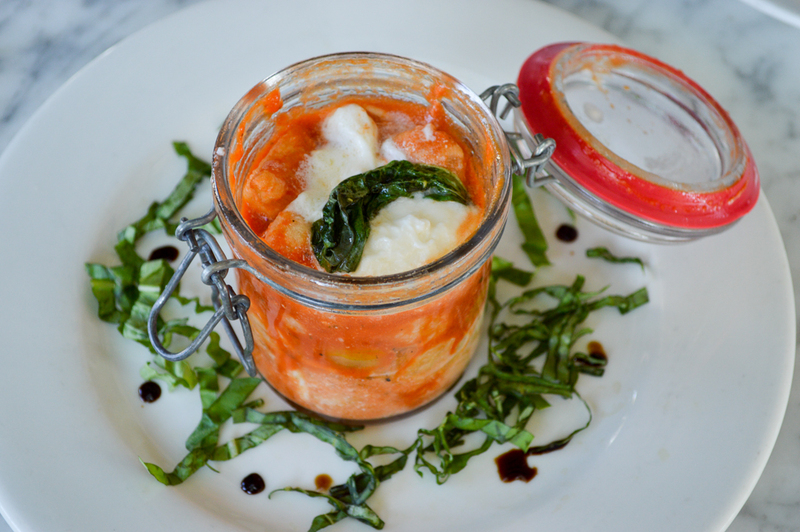 It brings another layer of richness to this starter – making it another must-try when dining here at Buona Forchetta. 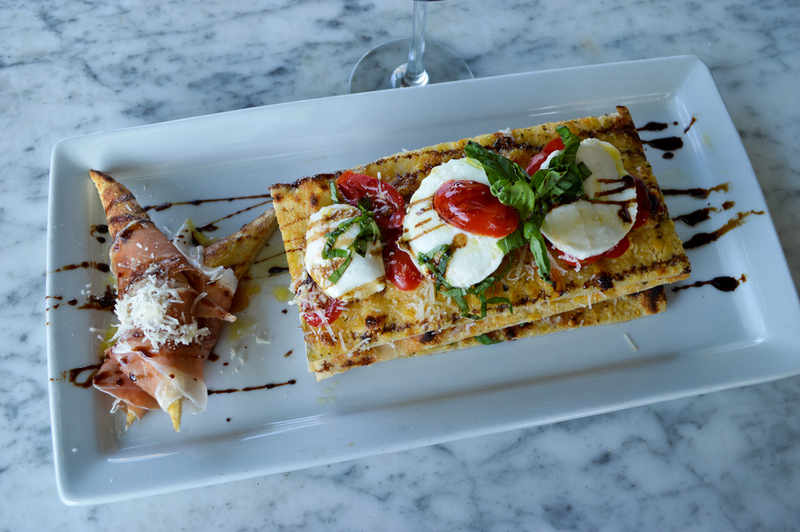 We enjoyed all three of these starters with a Velvet Devil Merlot – the perfect compliment. This complex Merlot has hints of tobacco and cherry with a blend of herbs and spices. Divine. Now, for the main course. 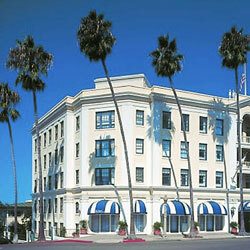 We ordered the Regina Margherita Pizza, the Marcello Pizza and the Veal Chop. Since Chef Marcello is a world champion pizza-maker, you have to order at least one pizza for the table! 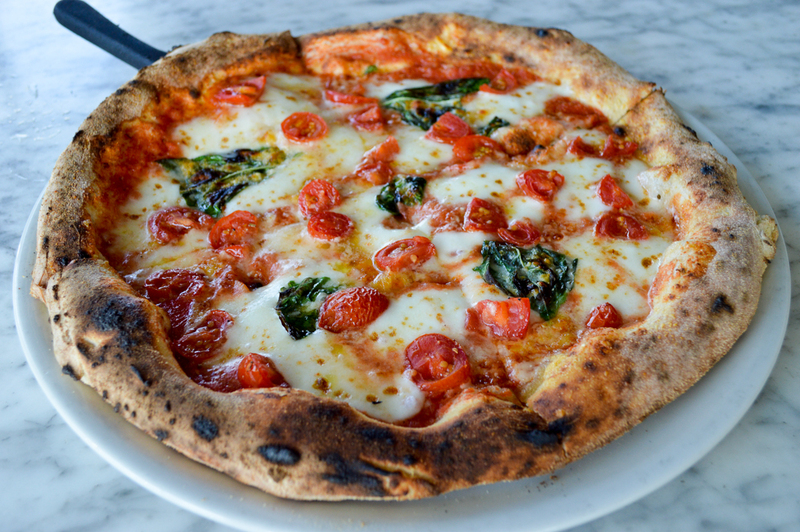 Regina Margherita Pizza here at Buona Forchetta is an outstanding creation! 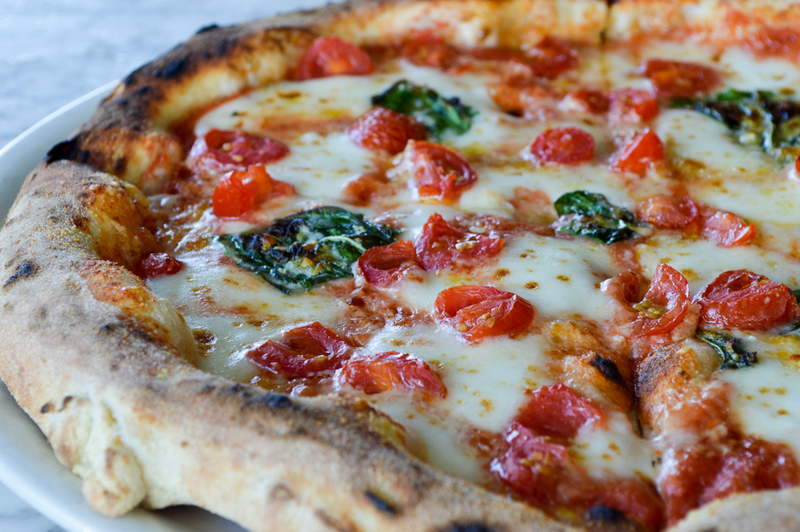 This masterpiece is built with tomatoes, Mozzarella di Bufala, basil and Parmesan. This pizza is not overly complicated, but each flavor adds its two cents to make it complete. 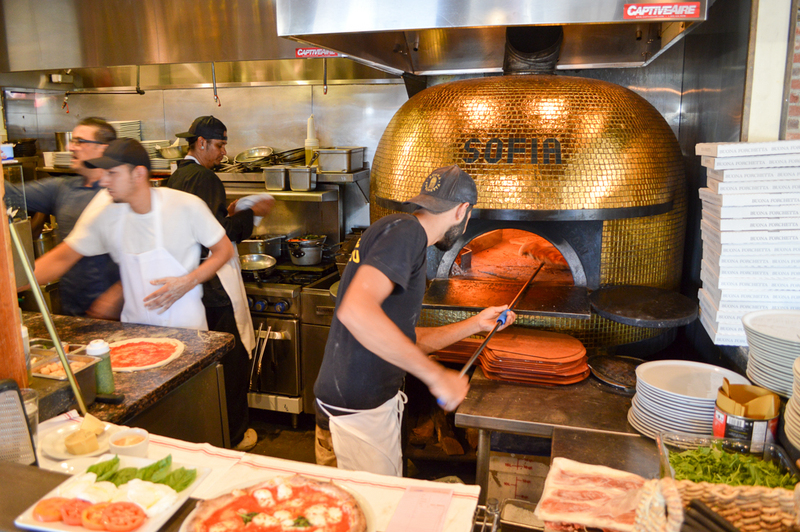 The crust is not to be reckoned with – Sofia has fired us up the perfect slice! The next pizza we sampled just happens to be the house special and winner of the 2010 Gourmet World Pizza Championship. I like a champion and I loved this unique creation named after Chef Marcello. I was told that this secret recipe cannot get out, so let me just say… it’s stacked high with fresh vegetables and cheeses on that wood-fired oven crust I can’t get enough of, along with just the right amount of herbs and spices. There is a reason this is a world champion. 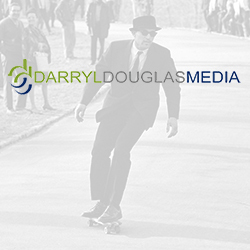 Take a look at the photography and let me know what you think! Everything I have put in my mouth here at Buona Forchetta has been fantastic. 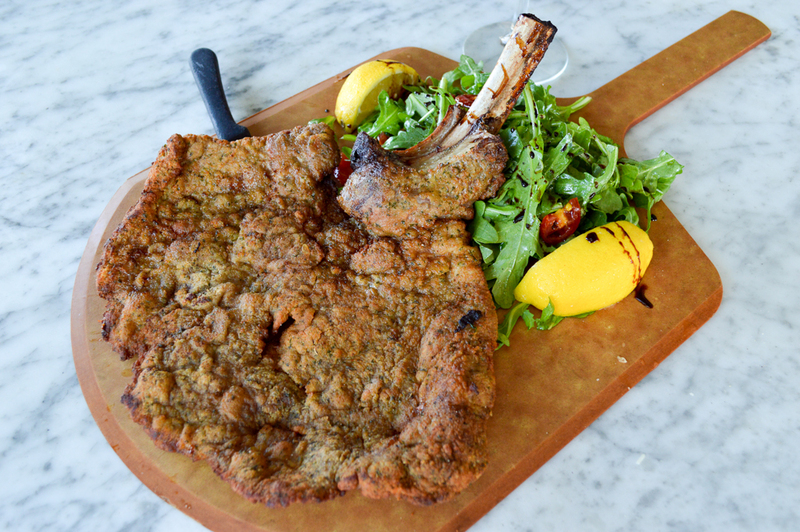 The large-and-in-charge Veal Chop definitely held its own amongst the array of pizzas we enjoyed. The Milanese style (breaded and then fried) reminded me of one of my favorite meals in Texas – Chicken Fried Steak – only better. This healthy portion of veal just melts in your mouth. 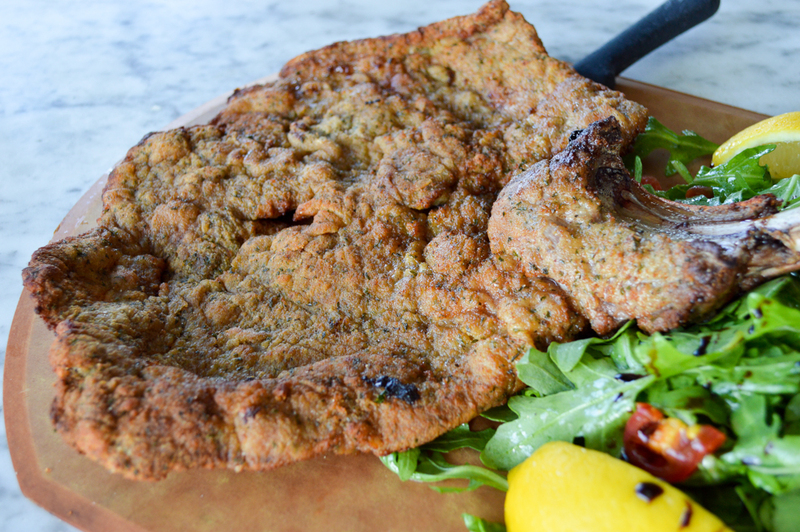 The lightly-breaded crust has so much flavor and blends just perfectly with the veal. A nice touch is the salad that comes with it. The balsamic drizzle and lemon wedges just add another flavor profile to this entree. This is my first taste of this dish and I can guarantee it won’t be the last! 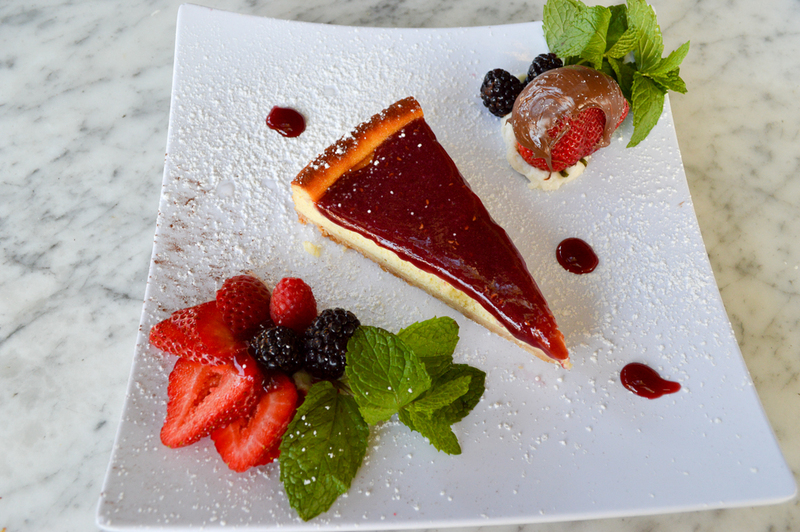 Now for dessert… I love this part of the experience! 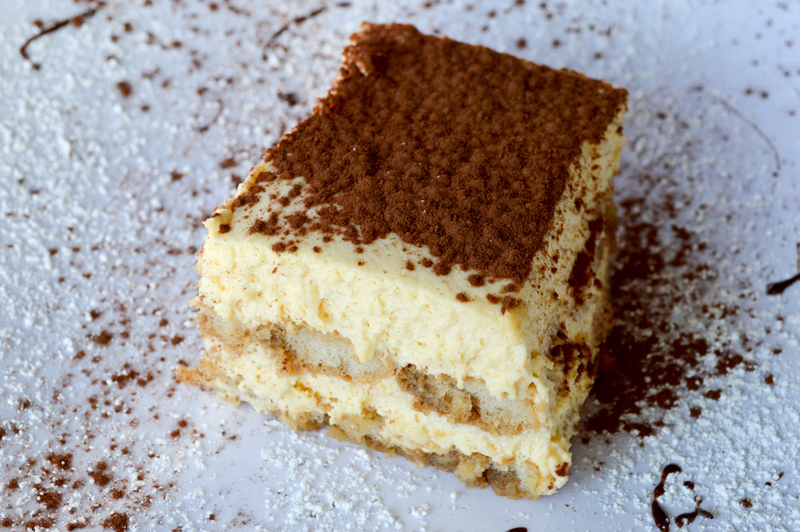 The Tiramisu is always a must when eating Italian and the Tiramisu here at Buona Forchetta is absolutely breathtaking! 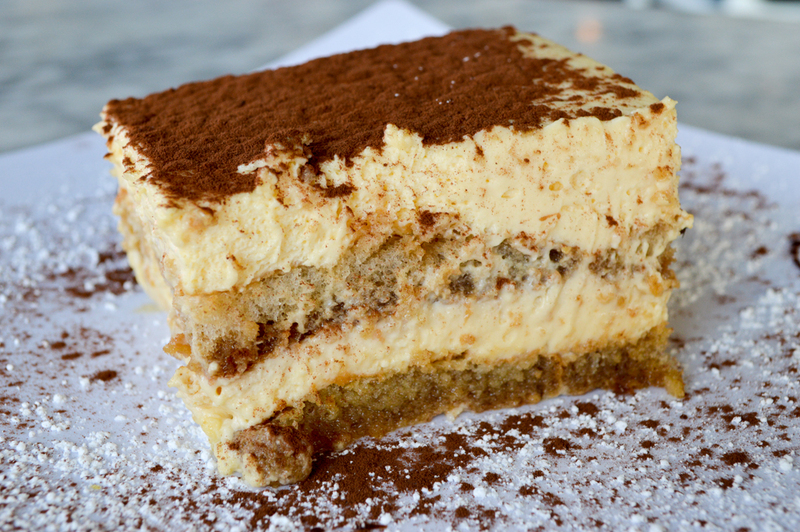 This coffee-flavored gem is layered with a whipped mixture of eggs, sugar and mascarpone cheese. 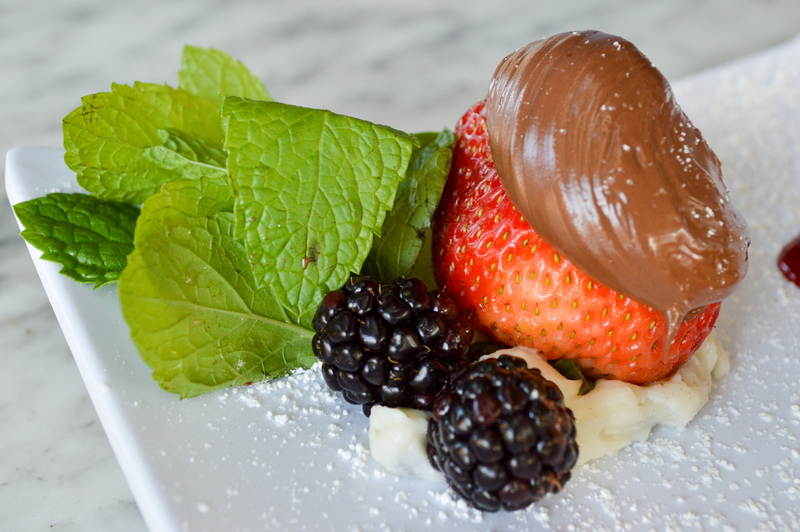 You have to try this dessert. Ahhmazing. Grazie! 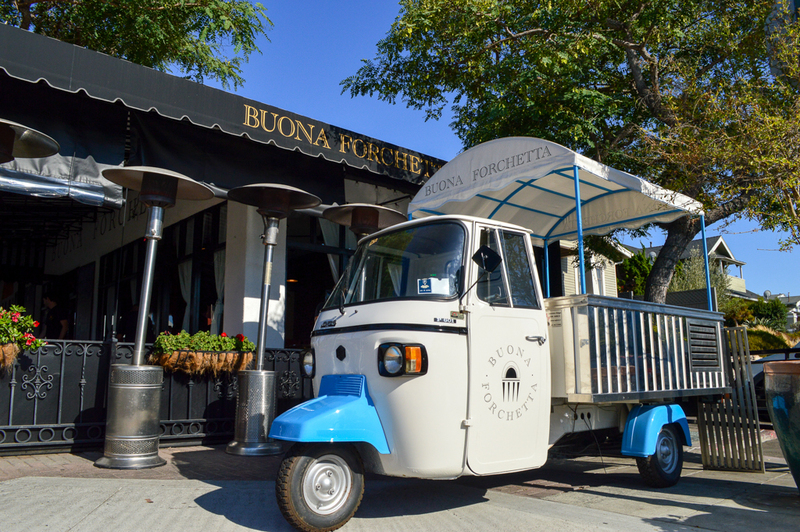 Everything about Buona Forchetta shouts excellence – from the mainly Italian staff to the authentic Italian cuisine. I have a new favorite Italian restaurant in town. 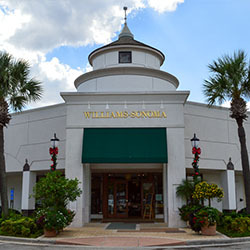 If you have not experienced this wonderful eatery, then wait no longer. You can thank me later! Fried dough, burrata, san marzano tomato, basil. 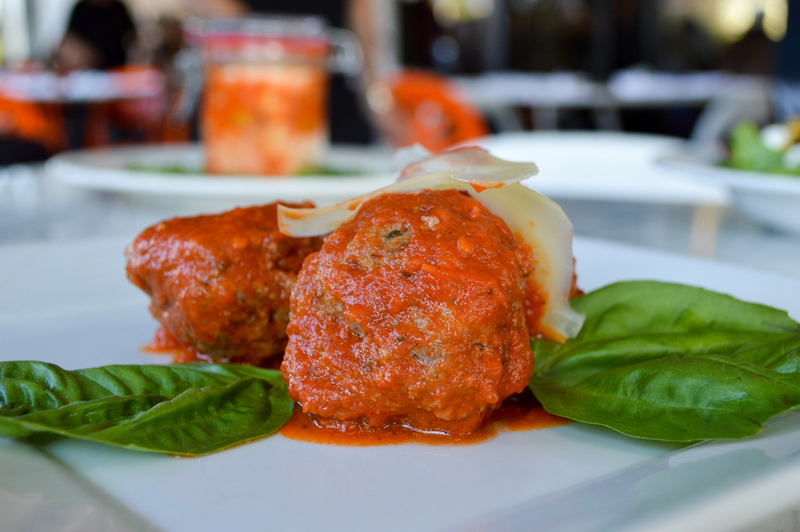 House-made beef & pork meatballs, tomato sauce, parmesan. 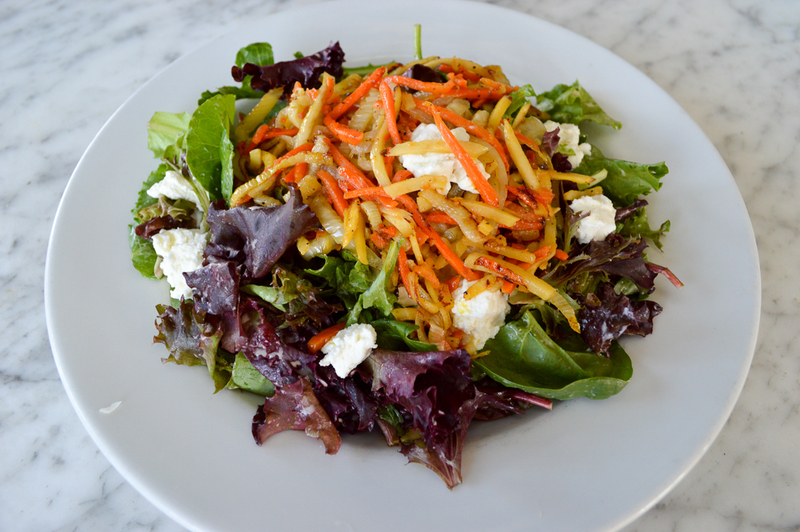 Carrots, fennel, parsnips, onion, mixed greens, goat cheese. Aromas of dark cherries, cedar, pipe tobacco. Anise, stone and cherry blossoms. Yeah, believe it! Super smooth. Tomatoes, mozzarella di bufala, basil, parmesan. House Special 2010 gourmet world pizza champion. 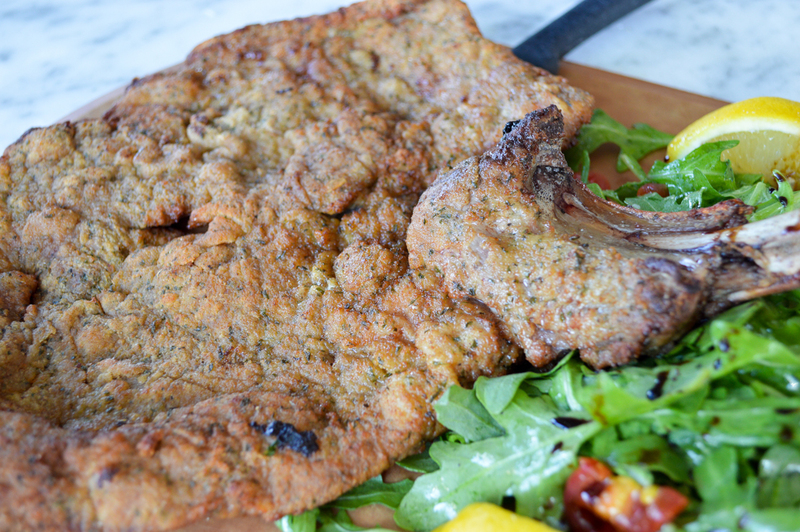 Milanese style – breaded and then fried. Intense flavors of ripe plum, black currant and jammy blackberry rock the palate of this daring Zinfandel. Balanced acidity and lingering tannins add complexity, concentration and depth to the finish. Ladyfingers dipped in coffee, layered with a whipped mixture of eggs, sugar, and mascarpone cheese. 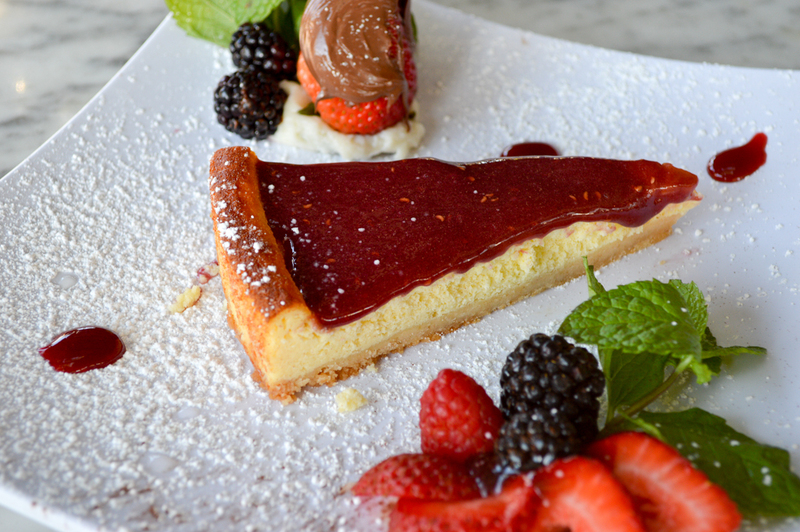 Layered ricotta with a graham cracker crust topped with strawberry sauce and served with assorted berries.